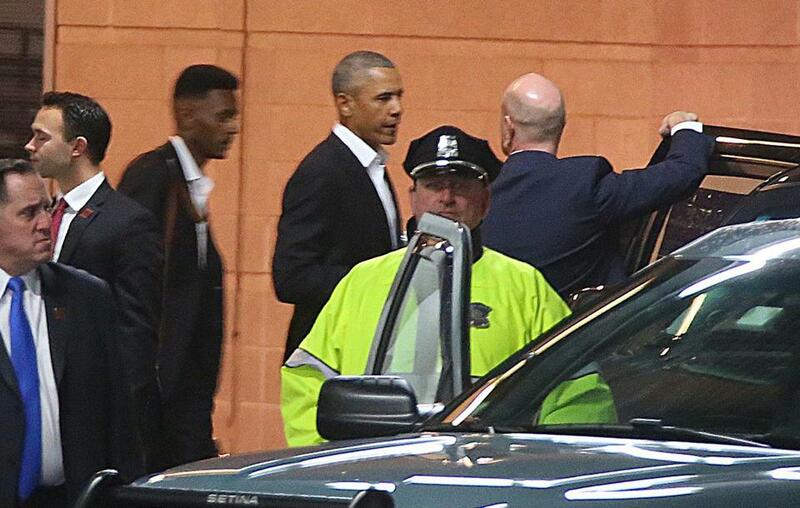 Barack Obama left the the Boston Convention and Exhibition Center last month after speaking at MIT’s sports analytics conference. AS IT TURNED OUT, Barack Obama’s super-secret speech at MIT last month — the one that was so far off the record that no one was permitted to stream it, or talk about it to the press, or comment about it on social media — contained nothing that remotely justified such hugger-mugger. With hundreds in the audience, of course the speech was surreptitiously recorded and leaked. Reason magazine posted the audio online, and you can hear for yourself that the former president said little he hasn’t said before. He talked about basketball and the NBA; he expressed conventional concerns about the power of Facebook and other social-media behemoths; he insisted that public employees “at least at the top levels” work very hard. From a few small digs at President Trump to a quick Patriots Super Bowl reference, here’s what former president Barack Obama had to say at the hush-hush event. Operation Fast and Furious. In a botched “gunwalking” sting, the Justice Department allowed thousands of guns to be sold to suspected smugglers, in the hope of tracing them to Mexican drug cartels. But the Obama administration lost track of the weapons, many of which later turned up at crime scenes in which scores of people were murdered. Among the dead: US Border Patrol Agent Brian Terry, killed by drug gangsters in 2010. Compounding the scandal was Attorney General Eric Holder’s refusal to turn over documents relating to the operation, a refusal for which he was held in contempt of Congress. Veterans Administration. On Obama’s watch, tens of thousands of veterans were denied proper health care at VA hospitals. Their names were added to phony waiting lists and they were stonewalled for months or even years. More than 300,000 veterans may have died awaiting medical treatment that never came. According to the Veterans Affairs inspector general, thousands of veterans’ health care enrollment applications were deleted or buried. Eventually VA Secretary Eric Shinseki resigned in disgrace. Numerous other scandals plagued the Obama administration. The Office of Personnel Management suffered a catastrophic data breach that exposed the confidential records of at least 10 million federal employees to hackers. OPM’s director had repeatedly been warned that the agency was vulnerable to cyberattack, but had failed to take the warnings seriously. The Obama administration, eager to promote “green” energy, lavished more than $500 million in loan guarantees on Solyndra, a high-risk startup. When the company went bankrupt, taxpayers ate the loss. From letting Hezbollah funnel cocaine into the United States to secretly wiretapping AP reporters, there were scandals aplenty when Obama was president. The media reported them all, but never with the fury and frenzy that characterize coverage of Donald Trump’s schedule. Obama benefited from being a media darling. Trump, obnoxious and belligerent, practically invites hostile coverage. But Obama’s record stands on its own — regardless of how it was covered, regardless of his successor’s demeanor. 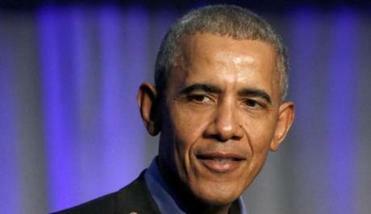 The myth of the “scandal-free” Obama administration may be comforting to some. But history won’t be fooled.